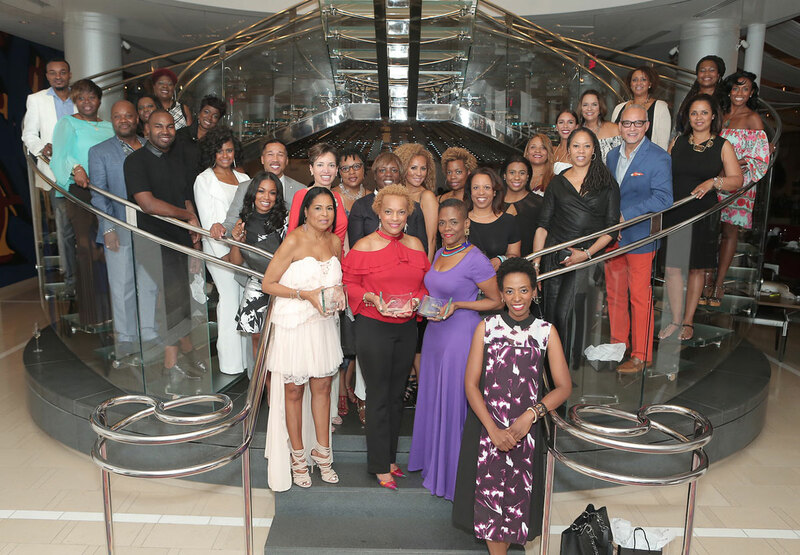 Kimberly Ward, front right, with Black Interior Designers Conference attendees at JP Atlanta last summer. Editor’s note: Earlier this summer, Atlanta Magazine’s HOME had just begun to explore partnerships with Kimberly Ward and her Black Interior Designers Conference. Like the rest of the interior design community, here and around the country, we were saddened to hear of Kimberly’s untimely death so soon afterwards. When her friend Ronda Racha Penrice, a local author and African-American historian, approached us about writing a tribute, we were happy to share her essay. Our thoughts and sympathies are with Kimberly’s daughter and her family. The diversity she championed enriches design for all of us. Some people have a knack for always seeing the bright side of everything. Kimberly Elaine Ward was one of them. Where others saw limitations, she concentrated on possibilities. After all, the very idea of her—a black girl with six siblings who was born in the shadows of the University of Mississippi and grew up to become an interior designer—was a testimony to the power of dreams. As she made a name for herself with her influential blog, PinkEggShell, as well as through her interior design firm, Kimberly and Cameron Interiors, Kim did not hog the spotlight. 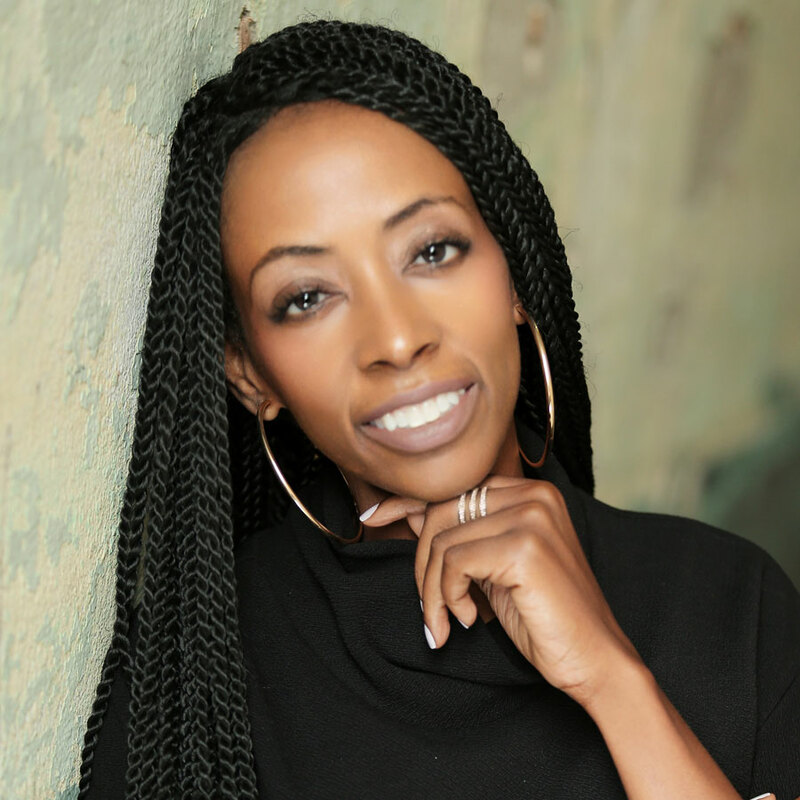 Instead, she shone her light on others: first with the annual African American Top 20 Interior Designers awards and, later, the Black Interior Designers Conference. She also dreamed of growing her brainchild, the magazine Iconic Home, beyond a conference publication so that she could share the talents of the AA Top 20 and BIDC with a wider audience. All of this she achieved while also being a loving mother and rock star role model to her young daughter Skylar. Kim’s intent with the AA Top 20 and the BIDC was slightly different than some assumed. Protest was never a motivating factor for her. From day one, she intended to inspire, celebrate, and encourage established and aspiring interior designers—not blast the interior design community because they didn’t. Kim was all about spreading love and happiness. It genuinely surprised her whenever anyone questioned the need for her efforts. “I understand that every time I walk into an auditorium to deliver a speech or sit on a panel for a discussion about interior design, I represent the minority. Not just as an African American, but more specifically as one working as a professional in the design community,” she wrote on PinkEggShell when she unveiled the very first AA Top 20 list back in 2011. “When I am featured in magazines and other media outlets, the questions that repeatedly arise are, who are your colleagues, is there someone like you in my neighborhood? Who are the top African American designers? First, understand this. It is impossible to build a successful career defining yourself as only an African American designer. Yes, I am African American, but I obtain clients of all races. I’m sure that the designers on the list will agree—beauty and style know no color,” she concluded. Excellence was the cornerstone of all that she did, and Atlanta was where she showcased it the most. After an AA Top 20 celebration at Jay-Z’s 40/40 Club in New York City back in 2012, she relocated, anchoring the festivities, while also adding a full-blown conference, in Atlanta, finding a great partner and champion in ADAC. In 2014, they hit it on all cylinders, even landing an intimate conversation with Sheila Bridges that Kim conducted. Both Time and CNN once proclaimed Bridges “America’s Best Interior Designer.” Bridges also broke barriers hosting four seasons of Sheila Bridges Designer Living for the Fine Living Network, now the Cooking Channel, making her an in-the-flesh example of just where other black interior designers could go. Kim adored Tiffany Brooks, HGTV’s 2013 Design Star winner, who became one of Kim’s tireless supporters. Locally, Kim took special pride in cheerleading both Michel Boyd and Janice Palmer, especially when they participated in the Atlanta Symphony Associates’ Decorators’ Show House & Gardens. Kim even reached beyond her country to embrace international designers like Nadin Benito in Curacao. One Easter holiday in 2013, Kim traveled there with Palmer and designer Joy Moyler, who has lent her magic to several abodes like those of John Mayer, to participate in a design challenge worthy of an HGTV show. Domestically, Houston was a very special city for her and she worked there often. So she would have been devastated by Harvey’s destruction, but would have insisted that the city rebound. She would’ve been right there to help beautify the rebuilding. Still, Atlanta was the place where she realized her dreams. Within ADAC, some great partners included Ainsworth-North, Peacock Alley, and Martin Nash. Last year, she added AmericasMart as a partner, alongside ADAC, to expand BIDC’s imprint and impact. And despite unexplained health complications that kept her, a previous breast cancer survivor, in her native Mississippi, she still, with great assistance from Keia McSwain and her sister Tony Ward, hosted the 2017 Black Interior Designers Conference from July 27 to July 29. While she was not here physically, she participated in a call with attendees and accepted a beautiful crystal award, as well as a proclamation from the City of Atlanta. Just days later, on August 1, she passed away. But her vision did not and should not perish. BIDC’s continued success and a wider reach for Iconic Home, in addition to Skylar’s wellbeing and that of her family and friends, will be a fitting legacy for Kim. It is what will keep her soul well.